It’s always best to judge a creative work by its own merits and values. This becomes difficult, however, when the subject in question appears to have few values of its own. 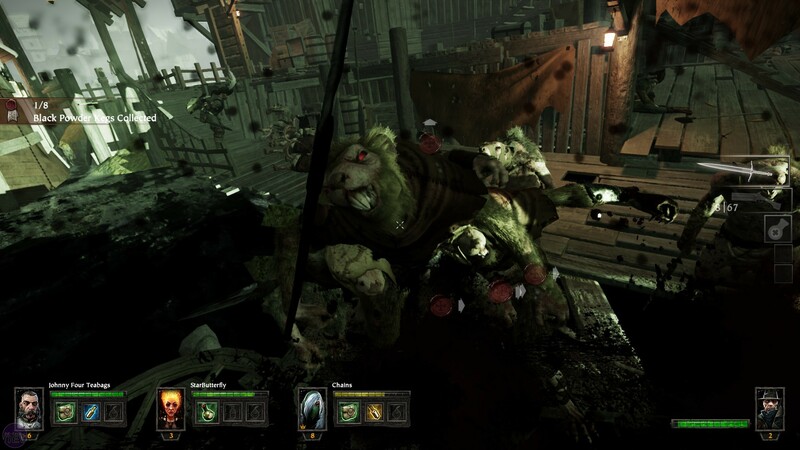 Such is the case with Warhammer: Vermintide, which is Left4Dead with rats. And I mean it is EXACTLY that. It isn’t “like” Left4Dead or “inspired” by Left4Dead. It has ripped the bones and organs straight from Turtle Rock’s landmark cooperative shooter, and reassembled them inside a fur-covered skin. Perhaps you think I’m exaggerating, so let’s run down the basic premise. Four players band together in multiple levels set in the Warhammer city of Ubersreik, working towards a specific objective while fending off hordes of the ratlike Skaven. The action is controlled by an unseen AI director, who at various points in the game will trigger “hordes” of Skaven to swarm the players. Alternatively, it will send specialised Skaven into the fray, such as the “Gutter Runner”, an Assassin rat that can leap upon players from a great distance and tear into them with a pair of green knives, or the Rat Ogre, an eight-foot tall block of rodent muscle that pounds players into the dirt. 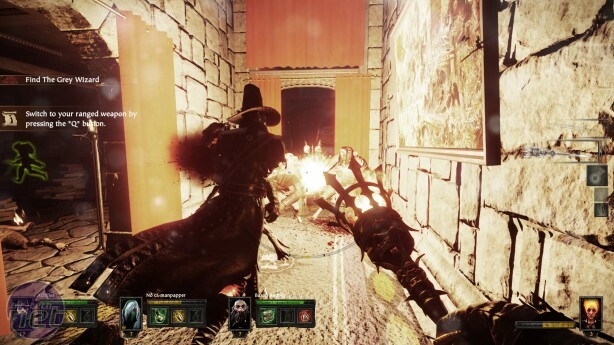 To fend off the Vermintide, each of the five available player characters has access to a wide range of weaponry, from mighty Zweihanders and piercing rapiers to ranged weapons like crossbows and flintlock pistols. They can also pick up healing items which can be used to heal themselves or other players, and throwable “bombs” that will scatter an area with charred Skaven corpses. As they cleave through the rodent ranks, the characters banter with one another in semi-scripted conversations. Upon reaching the end of a mission, players must survive a final onslaught of Skaven while completing a final objective, before rushing to a nearby horse and cart to escape and live to fight another day. Anybody feeling a touch of Déjà vu here? Now it's fair to say that games borrow from one another all the time. Look at any open world games released in the past couple of years and you’ll see ideas and systems cribbed from half a dozen other titles. But the extent of Vermintide’s imitation goes way beyond flattery, to the point where you'd consider testing its blood with a superheated length of wire. What doesn’t help is that, almost everything Vermintide does, it does slightly worse than Left4Dead, giving it the air of a tribute act on a stag night. There are a few differences worth discussing. Obviously the game's theme is a literal world away from the modern-day setting of Turtle Rock’s game. 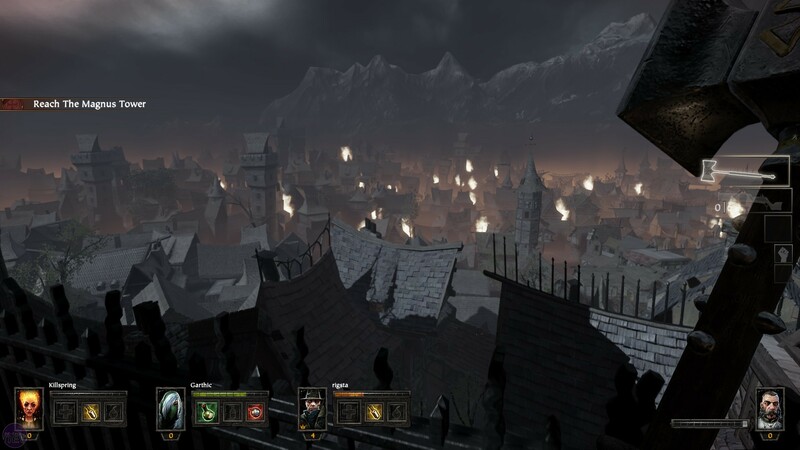 Vermintide’s city is one of thick stone walls and ramshackle wattle and daub houses, muddy market-squares and sprawling necropolises. 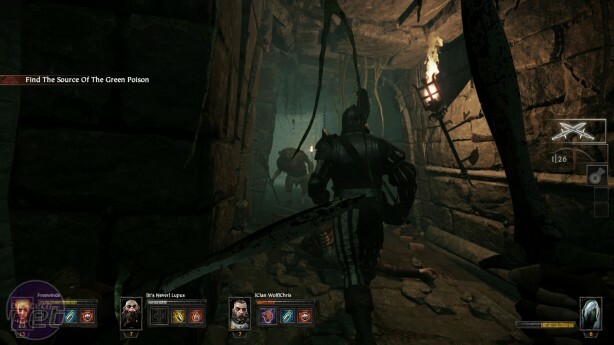 Fatshark make a decent attempt at emulating Valve's approach to level design, with frequent yet subtle shifts in your surroundings. A twisting city street will lead into a ransacked apothecary, which in turns leads to the back-gardens of a wealthy estate. The level designers occasionally play with your perceptions to. A mission set in a wizard’s library messes around with gravity and flickers between realities. Unfortunately, the general aesthetic Fatshark have chosen is Brown Everywhere, meaning those cleverly evolving environments don’t always register as well as they should.